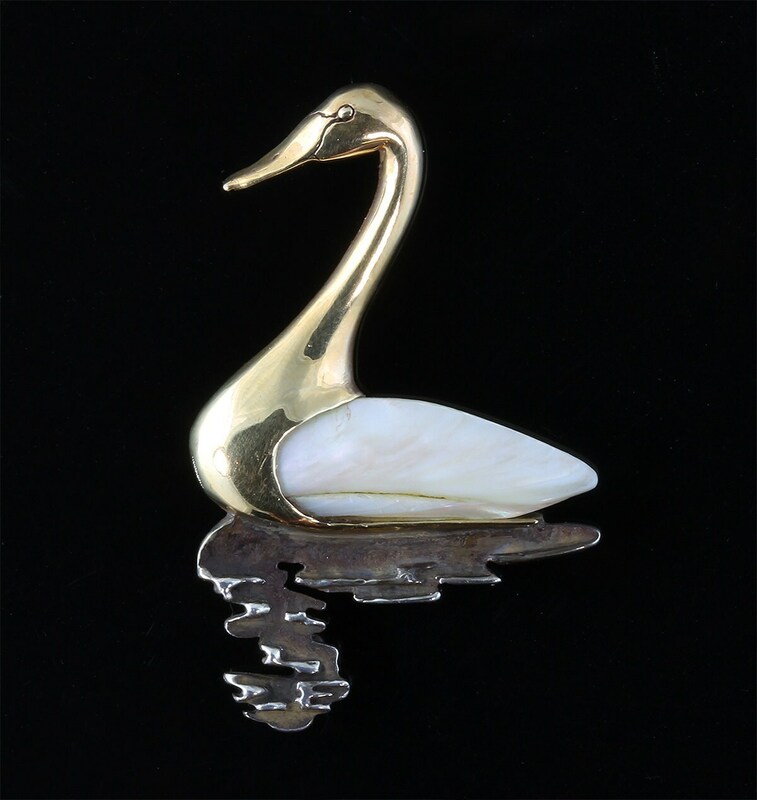 14K gold swan pin with Mother of pearl body and Sterling Silver reflection. 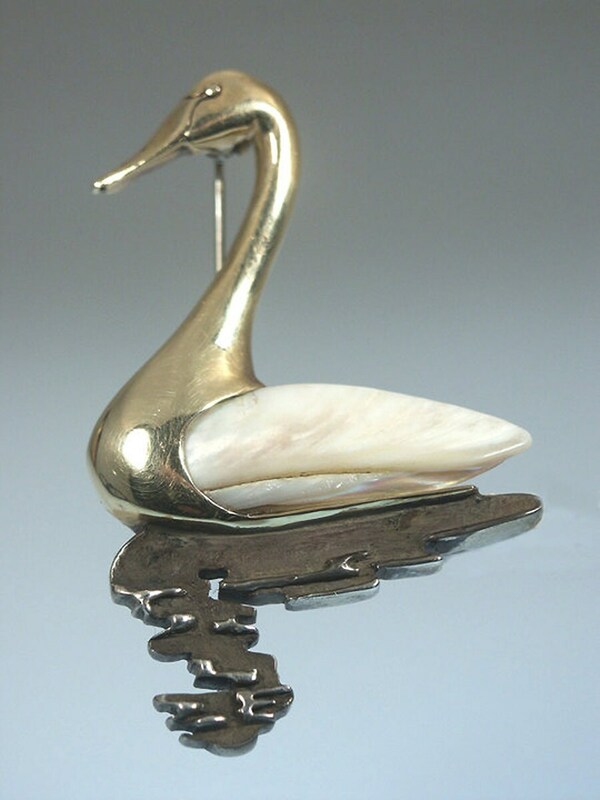 Truly a One of a Kind!!!!! !